After their first launch little over a year ago, Amsterdam based startup Foodzy today announces a fully updated re-release of its mobile apps. 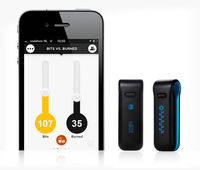 Besides a complete redesign, the app now offers users 5 real time health dashboards on the go. One of these is a live ‘Bits vs. Burned’ chart, giving you an immediate update on the amount of calories you’ve eaten today against the amount you’ve already burned based on your Fitbit data. In the new version of the app, the menu bar has been replaced by a single check-in button users can use to check in single foods & drinks or their own entire recipes (Eatzies). Over the past year, users in 140 countries have added over 200,000 new products to the Foodzy database, which now holds half a million products worldwide. One of the major benefits of Foodzy in comparison to regular food tracking apps is the fact that it uses local food databases in every country. “Two is checking your five personalized dashboards to see how you are doing. We visualize the types of food you’ve been eating to see how healthy your day was. We’ll show you if you need to drink more. We’ll turn your Withings data into 30-day weight graphs. And if you have a Fitbit, we’ll even tell you how much you can still eat in comparison to the calories you’ve already burned today. If you don't have a Fitbit, we calculate an estimate. There are plenty of weight, exercise and food tracking apps out there, but so far none have managed to combine all data in one user friendly service. The new Foodzy aims to do just that” says Kamphuis. 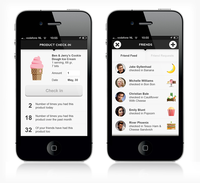 The new Foodzy app is available for iPhone from iTunes and Android from Google Play. It is free to download and use, but Pro users (who pay a fee of $15 a year) get extra features. 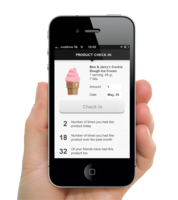 Alternatively, non smartphone users can visit Foodzy.com to use the service.